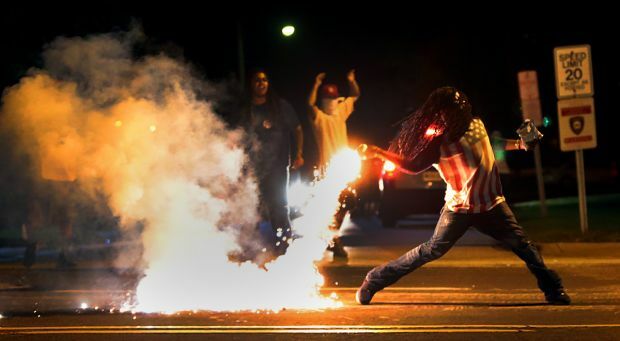 Ferguson protester throws tear gas canister back at police. 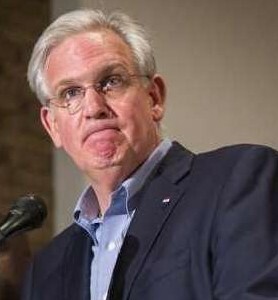 WELDON SPRINGS, Mo., Nov 11 (Reuters) – Missouri Governor Jay Nixon said on Tuesday the National Guard would be on standby to respond to any violence after a grand jury decides whether or not to indict a white police officer for shooting dead an unarmed black teenager (Michael Brown) in Ferguson. In addition to the National Guard, police officers from across the state could be called on to restore order if protests get out of hand, Nixon told a news conference. A decision by the grand jury is expected in mid-to-late November. The August shooting of Michael Brown, 18, by Darren Wilson sparked a national debate on race relations and led to weeks of street demonstrations. 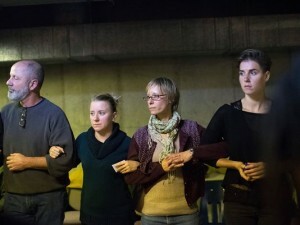 Some groups have threatened extensive protests if the officer is not charged with a crime. “That ugliness was not representative of Missouri and it cannot be repeated,” Nixon said. 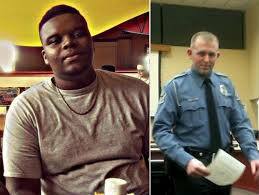 Michael Brown, 18, when slaughtered by Ferguson cop Darren Wilson. Nixon said 1,000 police officers had undergone more than 5,000 hours of specialized training ahead of the grand jury decision. Some businesses in Ferguson have boarded up windows and made plans for protecting themselves and their property if protests ignite into violence. State and local police, who were decked out in riot gear and fired rubber bullets into crowds during demonstrations after the shooting, have come under criticism for what many saw as a heavy-handed response that made a volatile situation worse. Police have said they came under attack by some protesters who wielded weapons and gasoline bombs. 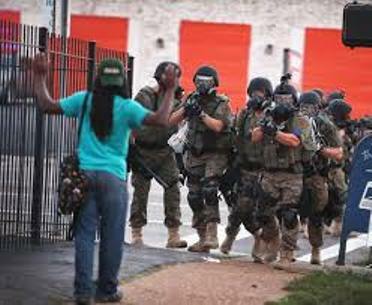 Paramilitary police confront lone youth during Ferguson uprising. The American Civil Liberties Union and National Lawyers Guild said they plan to deploy observers to the scene after the grand jury decision to make sure police are not violating civil liberties. The Ferguson-Florissant School District, which had to delay the start of the school year due to protests in August, has reviewed contingency plans in case there are serious protests and schools have to dismiss students early for safety reasons. Rumors of an impending decision on the indictment have flooded social media for days, prompting St. Louis County Prosecuting Attorney Robert McCulloch on Monday to reiterate his expectation that the grand jury would not make a decision until mid-to-late November. Mike Brown’s parents testify before UN about their son’s brutal killing by Ferguson cop Darren Wilson. His mother can be seen at left rear with red hair. 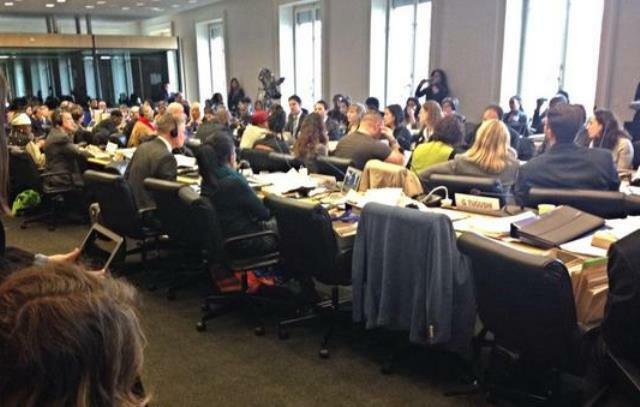 GENEVA – The parents of Ferguson teenager Michael Brown have testified before the United Nations Committee Against Torture. Brown’s parents are urging international human rights experts to help make changes in the United States. Committee members will review their concerns and if they deem it necessary, determine if recommendations need to be made about how matters are being addressed in Ferguson, Missouri. 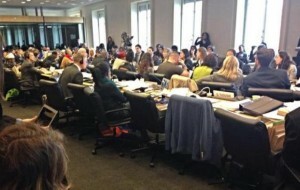 The UN Committee Against Torture reviews the federal government’s compliance with the Convention Against Torture. The convention against torture is an international human rights treaty that outlines specific guidelines to prevent governments from taking part in any kind of torture, or cruel, inhumane or degrading treatment or punishment. 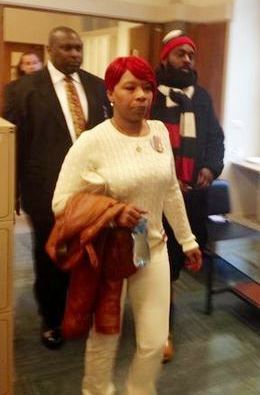 Mike Brown parents Lesley McSpadden and Michael Brown, Sr. on their way into meeting. Mike Brown’s mother, Lesley McSpadden was very emotional during her testimony, telling the committee that she missed her son. Michael Brown’s parents are urging international human rights experts to help make changes in the United States..
Brown’s mother says she appreciates knowing that people are trying to make positive changes in light of her son’s death. NewsChannel 5 photojournalist Don Galloway, who is in Geneva, tweeted the testimony occurred shortly before 5 a.m. CST. St. Louis — An attorney for Michael Brown’s family says a private forensic pathologist who performed an autopsy on the 18-year-old will testify Thursday before the grand jury deciding whether to charge the Ferguson police officer who shot him. Attorney Benjamin Crump said Wednesday that former New York City Chief Medical Examiner Dr. Michael Baden is scheduled to testify. Crump says Brown’s parents are pleased because they are concerned that the St. Louis County Medical Examiner’s office, which also did an autopsy, is too closely tied to police and prosecutors. Brown was shot by Officer Darren Wilson in the St. Louis suburb on Aug. 9. 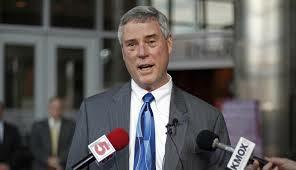 The grand jury is expected to decide this month whether to charge Wilson. A third autopsy was performed for the U.S. Justice Department, which is also investigating. In this Feb. 11, 2014 file image from video provided by the City of Ferguson, Mo., officer Darren Wilson attends a city council meeting in Ferguson. Darren Wilson, the Ferguson police officer who fatally shot unarmed teen Michael Brown last month, testified before a grand jury convened to investigate the shooting on Wednesday, the St. Louis Post-Dispatch reported.The paper cited an unnamed source familiar with the investigation that said the Ferguson Police officer, who has been kept out of the public eye since the Aug. 9 shooting, testified for four hours. The source said that Wilson was “cooperative,” but no further details were released.A spokesman for the prosecution would not comment on which witnesses have testified before the grand jury. Prosecutors will present evidence, and the jury will decide whether to charge Wilson. McCulloch’s father was a police officer killed in the line of duty when McCulloch was a child, and he has many relatives who work in law enforcement. The AP also points out that McCulloch could have filed charges against Wilson himself, but chose to instead leave the decision up to a grand jury. 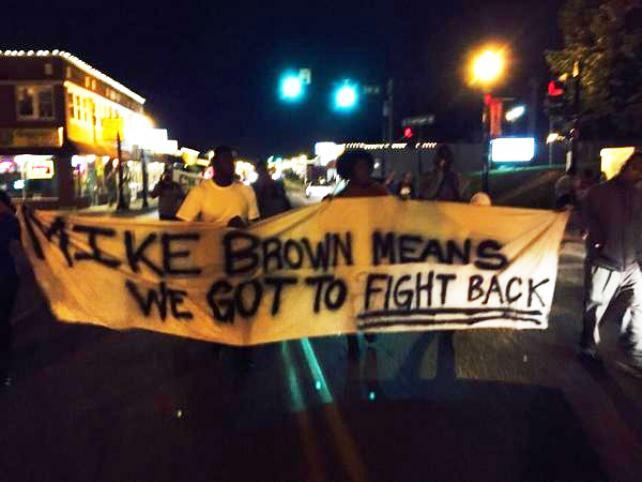 Wilson fatally shot Brown Aug. 9, sparking massive protests that garnered national attention. 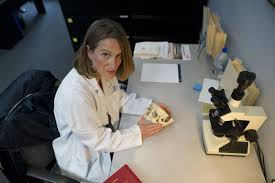 Dr. Judy Melinek, board-certified forensic pathologist from San Francisco. I read the report, and spent half an hour on the phone with the reporter explaining Michael Brown’s autopsy report line-by-line, and I told her not to quote me – but that I would send her quotes she could use in an e mail. The next morning, I found snippets of phrases from our conversation taken out of context in her article in the Post-Dispatch. These inaccurate and misleading quotes were picked up and disseminated by other journals, blogs, and websites. 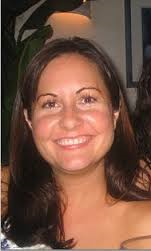 “The autopsy report shows that there are a minimum of 6 and maximum of 8 gunshot wounds to the body. The graze wound on the right thumb is oriented upwards, indicating that the tip of the thumb is toward the weapon. The hand wound has gunpowder particles on microscopic examination, which suggests that it is a close-range wound. That means that Mr. Brown’s hand would have been close to the barrel of the gun. Given the investigative report which says that the officer’s weapon discharged during a struggle in the officer’s car, this wound to the right thumb likely occurred at that time. Michael Brown independent autopsy report. Dr. Judy Melinek, a forensic pathologist in San Francisco, said the autopsy “supports the fact that this guy is reaching for the gun, if he has gunpowder particulate material in the wound.” She added, “If he has his hand near the gun when it goes off, he’s going for the officer’s gun.” Sources told the Post-Dispatch that Brown’s blood had been found on Wilson’s gun. Melinek also said the autopsy did not support witnesses who have claimed Brown was shot while running away from Wilson, or with his hands up. I was very fortunate to have the opportunity to correct this, in my own words last night, when Lawrence O’Donnell invited me to appear as a guest on MSNBC. Mr. O’Donnell allowed me to explain the autopsy findings clearly and in context—if not in full. The show is called “The Last Word,” and Lawrence O’Donnell makes sure he gets it. Despite the guest-badgering and interruptions that are a signature of his television persona, however, Mr. O’Donnell did allow me to correct the record that the St. Louis Post-Dispatch created. I am even more grateful to Trymaine Lee, whose companion article to last night’s Last Word segment (linked above) serves as an excellent corrective to the Post-Dispatch article. Ferguson and St. Louis, MO protest.